The admissibility of evidence in Courts in India is dependent on its relevancy as per the provisions of Indian Evidence Act. Illegality or impropriety in obtaining the evidence will not affect its admissibility, if it is otherwise relevant. 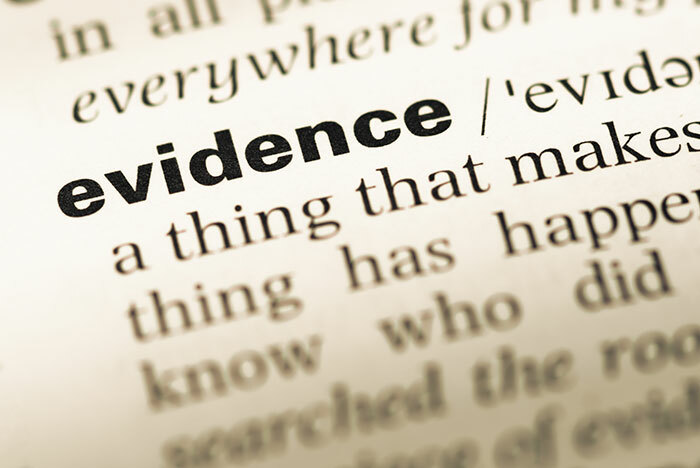 Test of admissibility of evidence lies in its relevancy and not on how it was obtained. "...the test to be applied in considering whether evidence is admissible is whether it is relevant to the matters in issue. If it is, it is admissible and the Court is not concerned with how the evidence was obtained". In this case, evidence obtained by illegal search of body of a person was not eschewed by the court. "It would be thus seen that in India, as in English, where the test of admissibility of evidence lies in its relevancy, unless there is an express or necessarily implied prohibition in the Constitution or other law, evidence obtained as a result of illegal search or seizure is not liable to be shut out". That was a case dealing with a challenge that a search and seizure were in contravention of the provisions of Section 132 of the Income Tax Act. Rejecting the challenge, the Supreme Court held that even assuming that the search and seizure were illegal, still the material seized was liable to be used in evidence. In an earlier decision in Magraj Patodia v R K Birla and others AIR 1971 SC 1295, the Supreme Court held that the fact that a document was procured by illegal means will not bar its admissibility, if it is relevant otherwise. It was held that provisions in Code of Criminal Procedure relating to search and seizure are to be treated as guidelines and even if there is any violation, the Court can accept the evidence. "There is warrant for the proposition that even if evidence is illegally obtained it is admissible. Over a century ago it was said in an English case where a constable searched the appellant illegally and found a quantity of offending article in his pocket that it would be a dangerous obstacle to the administration of justice if it were held, because evidence was obtained by illegal means, it could not be used against a party charged with an offence. See Jones v. Owens (1870 (34) JP 759). The Judicial Committee in Kuruma v. R. (1955 (1) All ER 236) dealt with the conviction of an accused of being in unlawful possession of ammunition which had been discovered in consequence of a search of his person by a police officer below the rank of those who were permitted to make such searches. The Judicial Committee held that the evidence was rightly admitted. The reason given was that if evidence was admissible it matters not how it was obtained. There is of course always a word of caution. It is that the judge has a discretion to disallow evidence in a criminal case if the strict rules of admissibility would operate unfairly against the accused. That caution is the golden rule in criminal jurisprudence." The SC has repelled the contention that obtaining evidence illegally by using tape recordings or photographs offend Articles 20(3) and 21 of the Constitution of India (Yusufalli Esmail Nagree v. The State of Maharashtra, AIR 1968 SC 147). In Umesh Kumar v State of AP AIR 2014 SC 1106, the SC was dealing with a prayer to quash a chargesheet in a corruption case, which was registered on the basis of few sale deeds showing acquisition of disproportionate assets. The accused contended that the case was registered on the basis of a forged letter, to which the sale deeds were annexed. The Court held that even if the letter was forged, the sale deeds annexed to it can be looked into. The Delhi High Court in Dharambir Khattar v Union of India 2013 CriLJ 2011 held that telephonic conversations intercepted by authorities in violation of the Telegraph Act and the principles laid down by SC for phone-tapping in PUCL case are admissible in evidence. It may also be noted that the Law Commission of India in its 94th Report suggested to give Court's discretionary power to exclude illegally obtained evidence. The Law Commission observed that there are no absolutes in the debate regarding exclusion of illegally evidence. It acknowledged that an absolute rule of exclusion might result in grave injustice in certain cases. At the same time, it added that there could be cases were the breach is so blatant and shocking that admitting such evidence will cause disrepute to administration of justice. Therefore, the Commission suggested that "there is need for conferring on the court a discretion to exclude evidence obtained illegally or improperly if, in the circumstances of the case, the admission of such evidence would bring the administration of justice into disrepute"
discretionary power to exclude illegally or improperly obtained evidence. The following parameters were enlisted in the proposed Section to determine whether the admission of such evidence will bring administration of justice into disrepute :(i) the extent to which human dignity and social values were violated in obtaining the evidence; (ii) the seriousness of the case; (iii)the importance of the evidence;(iv)the question whether any harm to an accused or others was inflicted wilfully or not; (v)the question whether there were circumstances justifying the action, such as a situation of urgency requiring action to prevent the destruction or loss of evidence. But the suggestion of Law Commission has not been accepted. This rule cannot be applied to use illegally recovered contraband as evidence of possession. Statutes like Narcotic Drugs and Psychotropic Substances Act, Abkari Act etc, raise a presumption of guilt if possession of illegal article is established. Such laws have stringent provisions for search and seizure, as the mere possession of the article can lead to punishment. "Unlawful possession" of the contraband is necessary for recording conviction under the NDPS Act. In such cases, deviations from procedure of search and seizure will materially affect the prosecution case in relation to proving possession.This has been clarified by the Constitution Bench in State of Punjab v Baldev Singh (1999) 6 SCC 172 by explaining the dictum in Pooran Mal. "The judgment in Pooran Mals case (supra), therefore, cannot	be understood	to have laid down that	an illicit article	seized	during	the search of person, on prior information, conducted	in violation of the provisions of Section	50 of the Act can be used as evidence of unlawful possession of	the illicit article on the person from	whom that contraband had been seized during an illegal search", said the Court in Baldev Singh. The issue reached Constitution Bench in view of conflicting decisions regarding the impact of breach of Section 50 of NDPS Act. Few decision held that even in cases of breach of Section 50 NDPS Act, evidence can be admitting, by applying the dictum in Pooran Mal. The Constitution Bench held that the dictum in Pooran Mal cannot be applied in cases of unlawful seizure of contraband. "the illicit drug or psychotropic substance seized	in an	illegal search cannot by itself be used as proof of unlawful conscious possession of the contraband by the accused. An illegal search cannot also	entitle	the prosecution to raise a presumption under Section 54 of	the Act because presumption, is an inference of fact drawn from the facts which are known as proved. A presumption under Section	54 of	the Act can	only be raised after	the prosecution has established that the accused was found to be in possession	of the contraband in a search conducted in accordance with the mandate of Section 50". The Court held that hat an illicit article seized from the person of an accused, during search conducted in	violation of	the safeguards provided in Section 50 of the Act, cannot by itself	be used as admissible evidence of proof of unlawful possession of	the contraband on the accused. It was clarified that any other material/article recovered during that search may, however, be relied upon by the prosecution in other/independent proceedings against an accused notwithstanding the recovery of that material during an	illegal search and	its admissibility would depend upon the relevancy of	that material and the facts and circumstances of	that case. The doctrine is based on fourth amendment to US Constitution, which guarantees privacy rights to citizens. The US Supreme Court has held that allowing evidence gathered as an indirect result of an unconstitutional search and seizure "reduces the Fourth Amendment to a form of words". "the primary purpose of the exclusionary rule is to deter future unlawful police conduct and thereby effectuate the guarantees of the Fourth Amendment against unreasonable search and seizure"., the US SC held in US v Calendra. However, this rule has attracted criticism as well. Justice Benjamin Cardozo, stated that under the rule, "The criminal is to go free because the constable has blundered." A major criticism of the Fourth Amendment exclusionary rule is that the text of the Fourth Amendment does not indicate that illegally seized evidence must be excluded. The argument is that the person obtaining illegal evidence must be made to face legal consequences; but the evidence should not be excluded, as the concern of the court is to be factually correct. This rule of excluding 'fruits of a poisonous tree' has a limited application in India under Sections 24, 25 and 26 of the Indian Evidence Act which bar the admissibility of confessions made to police officers, custodial confessions etc.